This ticket gives you access to the main festival arena for all days from Friday, 12th July and Sunday 14th July 2019. This ticket gives you access to the main festival arena on Friday only, 12th July 2019. This ticket gives you access to the main festival arena on Saturday only, 13th July 2019. This ticket gives you access to the main festival arena on Sunday only, 14th July 2019. This ticket gives you access to the main festival arena on Friday, 12th July and Saturday 13th July 2019. This ticket gives you access to the main festival arena on Friday, 12th July and Sunday 14th July 2019. This ticket gives you access to the main festival arena on Saturday 13th July and Sunday, 14th July 2019. The VIP Ticket getting you in to the festival itself via a new dedicated VIP Entrance and gives you access to an exclusive chill-out zone away from the main festival arena, its own bar and food area, seats, upgraded flushing toilets and a glass of bubbly* on arrival, each day. Valid from Friday 12th July to Sunday 14th July 2019. *A challenge 25 policy will be in operation at the bars ensuring access is restricted to persons 18 and over. Proof of age may be required. Please bring an acceptable photographic ID. Can be substituted for a soft drink. The VIP Ticket getting you in to the festival itself via a new dedicated VIP Entrance and gives you access to an exclusive chill-out zone away from the main festival arena, its own bar and food area, seats, upgraded flushing toilets and a glass of bubbly* on Friday 12th July 2019. *A challenge 25 policy will be in operation at the bars ensuring access is restricted to persons 18 and over. Proof of age may be required. Please bring an acceptable photographic ID. Can be substituted for a soft drink. The VIP Ticket getting you in to the festival itself via a new dedicated VIP Entrance and gives you access to an exclusive chill-out zone away from the main festival arena, its own bar and food area, seats, upgraded flushing toilets and a glass of bubbly* on Saturday 13th July 2019. *A challenge 25 policy will be in operation at the bars ensuring access is restricted to persons 18 and over. Proof of age may be required. Please bring an acceptable photographic ID. Can be substituted for a soft drink. The VIP Ticket getting you in to the festival itself via a new dedicated VIP Entrance and gives you access to an exclusive chill-out zone away from the main festival arena, its own bar and food area, seats, upgraded flushing toilets and a glass of bubbly* on Sunday 14th July 2019. *A challenge 25 policy will be in operation at the bars ensuring access is restricted to persons 18 and over. Proof of age may be required. Please bring an acceptable photographic ID. Can be substituted for a soft drink. The VIP Ticket getting you in to the festival itself via a new dedicated VIP Entrance and gives you access to an exclusive chill-out zone away from the main festival arena, its own bar and food area, seats, upgraded flushing toilets and a glass of bubbly* on arrival, each day. Valid on Friday 12th July and Saturday 13th July 2019. *A challenge 25 policy will be in operation at the bars ensuring access is restricted to persons 18 and over. Proof of age may be required. Please bring an acceptable photographic ID. Can be substituted for a soft drink. The VIP Ticket getting you in to the festival itself via a new dedicated VIP Entrance and gives you access to an exclusive chill-out zone away from the main festival arena, its own bar and food area, seats, upgraded flushing toilets and a glass of bubbly* on arrival, each day. Valid on Friday 12th July and Sunday 14th July 2019. *A challenge 25 policy will be in operation at the bars ensuring access is restricted to persons 18 and over. Proof of age may be required. Please bring an acceptable photographic ID. Can be substituted for a soft drink. The VIP Ticket getting you in to the festival itself via a new dedicated VIP Entrance and gives you access to an exclusive chill-out zone away from the main festival arena, its own bar and food area, seats, upgraded flushing toilets and a glass of bubbly* on arrival, each day. Valid on Saturday 13th July and Sunday 14th July 2019. *A challenge 25 policy will be in operation at the bars ensuring access is restricted to persons 18 and over. Proof of age may be required. Please bring an acceptable photographic ID. Can be substituted for a soft drink. TRNSMT 2019 is a Scottish rock and indie music festival that takes place on Glasgow Green, in the east end of the city. 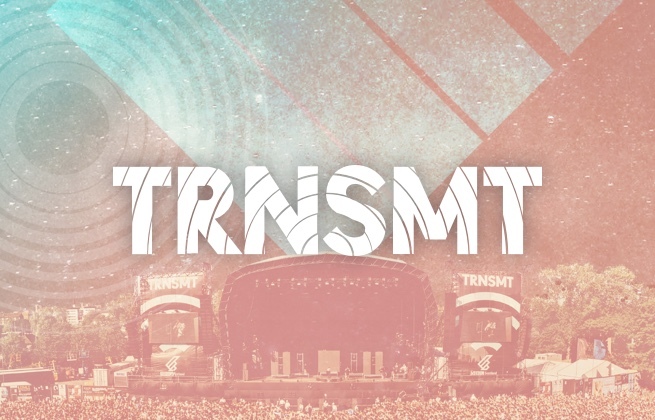 Taking the mantle from the now defunct T In The Park as the go-to festival in Scotland, TRNSMT has become the quintessential event to see the biggest acts on the rock and indie spectrum since its debut in 2017. This summer's lineup includes Stormzy, George Ezra, Catfish and the Bottlemen and Snow Patrol, but there'll also be the opportunity to catch emerging artists on the scene over at the King Tut's stage. Bars, restaurants, and nightclubs surround Glasgow Green so you can continue the party into the early hours once you've belted out your favourite tunes with 50,000 other festival-goers. Glasgow Green – in the east end of Glasgow – is the city's oldest park, and sits on the north bank of the River Clyde.